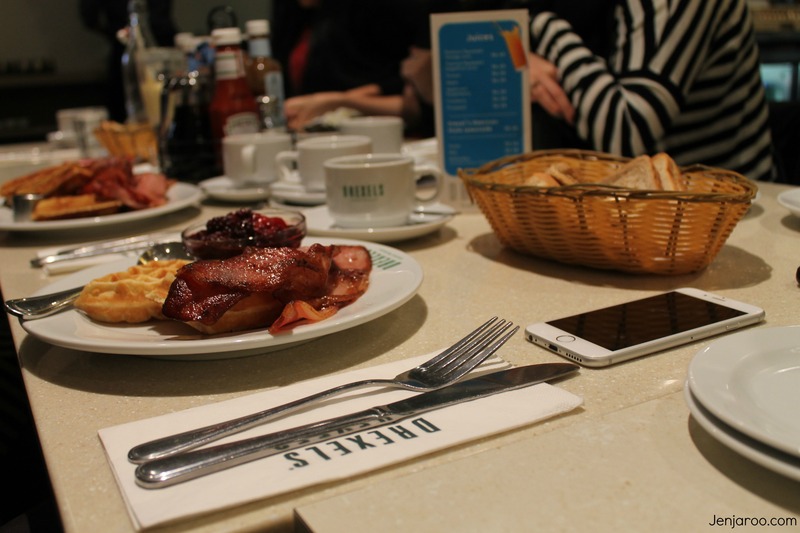 On a cold wet morning, if there’s one things that’s sure to get me up, it’s the thought of coffee and brunch. Normally I’d be the first one to go for bottomless coffee, but knowing I had another lunch to attend meant instead I opted for a flat white, which was just what I needed. When it came time to choosing what to eat, I knew I wanted something sweet, but what… Waffles, pancakes or French toast and then was the question of what to have with it! The options seemed endless as I finally settled on French toast with a berry compote ($5) as extra. Then I had to choose the size. Half, one or two.. Again with the prospect of lunch afterwards I settled for half and I’m glad I did. The portion was huge! 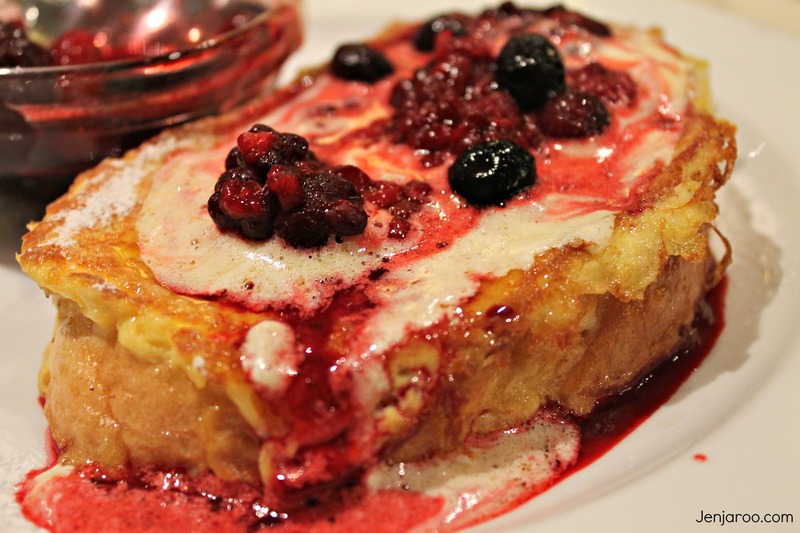 One giant piece of French toast with a generous dollop of whipped butter, then the added berry compote. It was fantastic. I was full without feeling like I needed to roll home afterwards. Unfortunately for me, after arriving late I need to leave early to get to my lunch date, but it was great being able to catch up with everyone again and meet new faces. I can’t wait to see where next months will be and perhaps this time I won’t have to rush off so soon! All I can say is YUM! 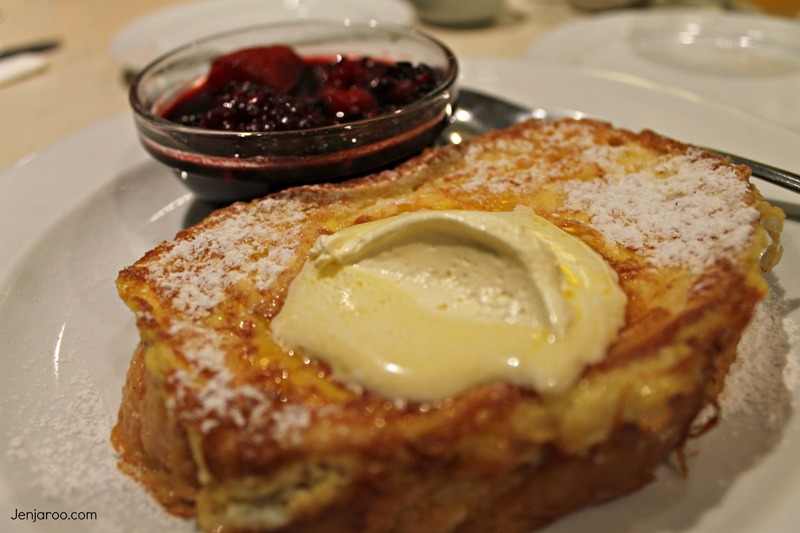 and I think my waistline just expanded another inch – that looks like brunch heaven. I used to go to Drexels in Christchurch for my pancake fix. I miss it! That brunch looks yum! Great to hear theres blogging networks at home!